Professionals are often territorial about their specialisms. Ask structural engineers what they think about the architect’s job, or the sales professional about the role of the due diligence lawyer and you’ll know what I mean. Sometimes, too, members of one profession will feel completely alien in the world of another. Much like the puzzled “anthropologist from Mars” visiting an Earthly concert hall. Many feel that way listening to a medical practitioner. Or when trying to understand an installations engineer while under water in the living room. The distance is often justified. The broker is a bad broker if a deal doesn’t happen. The due diligence lawyer is often a bad lawyer if the deal does happen. Divergent incentives tug at people and drive them apart. Sometimes, however, the distance is but skin-deep. Ask a computer programmer what she thinks of contracts or the lawyer of coding and they’ll gaze at you blankly (in the best case scenario.) Yet, both computer programming and the law are actually made of the same “mind-stuff”. In fact, perhaps more so than any other two professions, not only do lawyers and coders share the same domain of normative logic, but also, in a sense, a history. Have you ever wondered why the first legal texts are called Codes? Both laws and computer programs are logical structures designed to take in information at one end, process it in a lawful manner (i.e. based on rules) and deliver a different, actionable, information at the other end. Legal rules are organized in normative structures and users can “run” data through the structure to seek a result, as much as one would be able to do with a computer program. 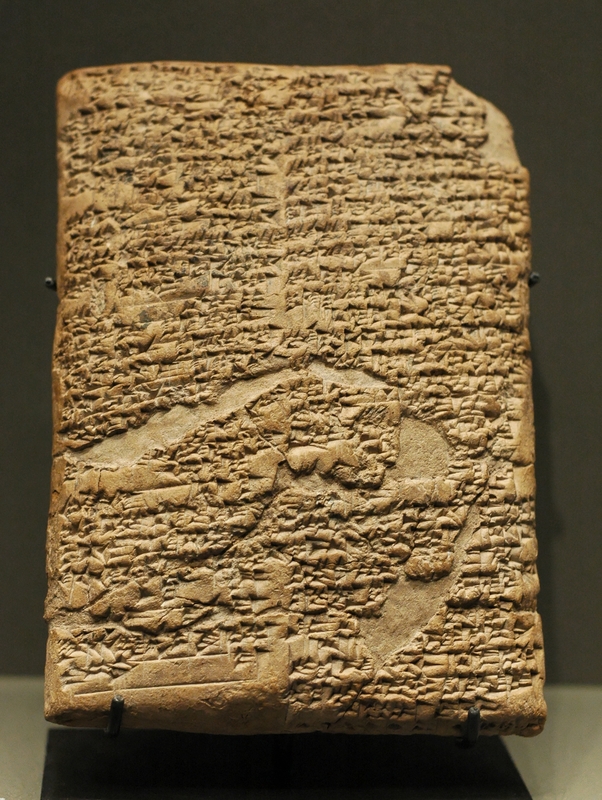 What would a Babylonian judge do with this rule? He’d take a factual information about the world (is the accused a herdsman? etc), process that information based on the conviction rule, then, if the inquiry resulted in a positive conclusion, he will convict the accused and instruct the enforcers to take his money. Contracts, too, are normative structures. They are organized hierarchically, into routines and subroutines, designed to classify, determine facts, derive conclusions and resolve conflicting determinations. Lawyers are, from that perspective, natural language programmers. They design codes for governing behaviour of specific entities, namely,“the parties”. Contracts are further embedded into larger normative contexts made of justice (as opposed to operating) systems, where the manner in which contracts are interrogated is rigorously governed by rules regarding the access, standing, rules of evidence and sorting and ordering criteria, rules for assigning “weights” to arguments etc. Now, I am not a computer coder (lest drawing a circle in Basic in 1990 be counted), but this should be familiar territory to computer programmers. Of course, if you want to turn a law into actual code, there is much which is implicit in a law that must become explicit in an artificial language. I don’t need to explain in natural language, for instance, that a herdsman is generally a human, while I expect to have to do that in an artificial language. Because lawyers use (and sometimes abuse) natural language in both day-to-day and legal verbiage, laws and contracts are more fuzzy, or “open-textured”, than more precise artificial systems. But differences notwithstanding, to look at lawyers as the world’s first coders and at contracts as apps working within sophisticated justice platforms, offers a refreshing perspective on both.